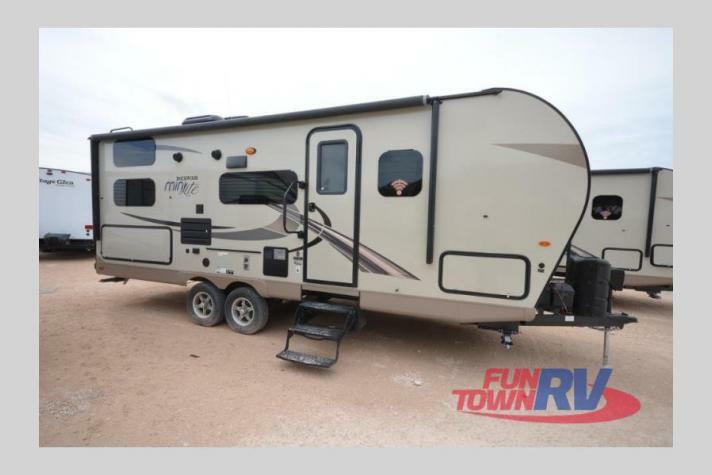 See just how fun and convenient camping can be in this single slide out 2509S Rockwood Mini Lite by Forest River. You will also love the double bunks and the exterior pull-out grill to grill up your best burger. If the weather doesn't allow you to use the grill then no worries because you can still easily whip up your best meal at the indoor kitchen, and the countertop extension is the perfect place to serve your meal. With the Murphy bed, you can enjoy a good night's rest as well as, transform it into a sofa for extra seating during the day. You will also love the added convenience and privacy with the rear bath. 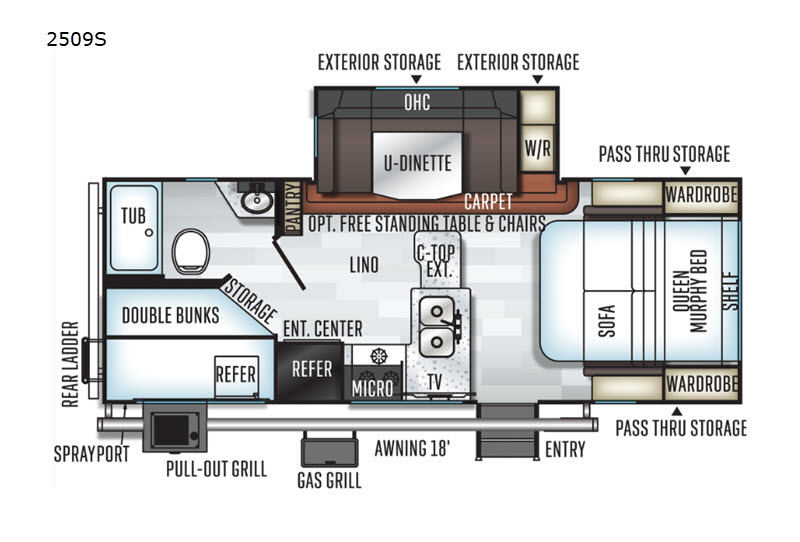 Whatever you choose to do with your friends or family it is sure to be a good time in this travel trailer! 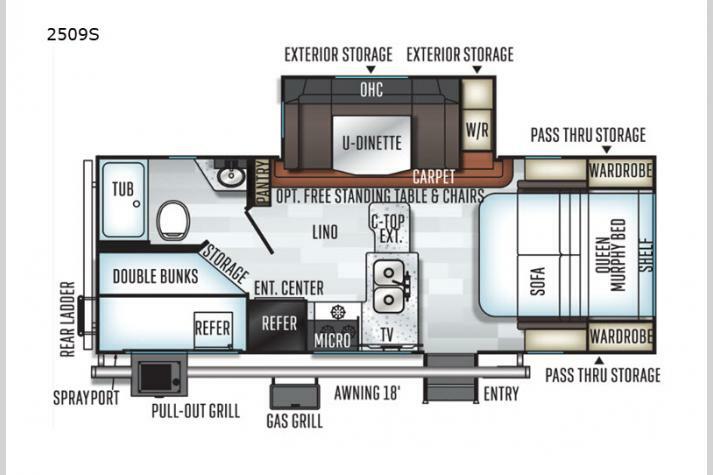 Every Forest River Rockwood takes pride in packing in as much value in as little space as they can with these Mini Lite travel trailers to make your investment into these models go a long way. 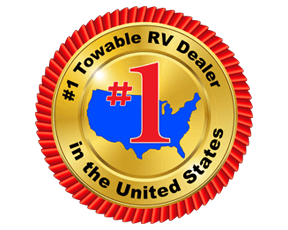 They have a quality vacuum bonded construction along with enclosed underbellies and six sided aluminum frames to give you a travel trailer that will last and is built from the ground up. The underbelly increases aerodynamics, the easy lube axles and Nev-R adjust brakes ensure for safe traveling, and the interior is all residential with solid kitchen countertops with a Slatewood interior and hardwood cabinets and drawers. You will also enjoy other features such as the mold and mildew resistant floor coverings, the mounted 24" LCD TV on select models, and the gas oven. 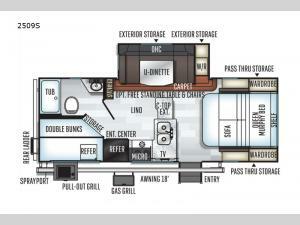 Take a look at these Rockwood Mini Lite's and start traveling in luxury today!